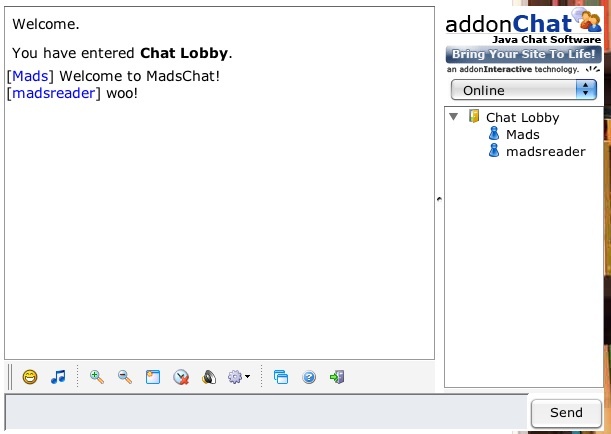 Mads Vassar Blog: Introducing "MadsChat"
We thought it would be cool to add a feature that allowed Vassar students and other Mads readers to communicate. After spending some time searching, we found a chat widget that seems simple, effective, and free. It looks like those AOL chat rooms we all snuck into as kids. All you have to do is type in any username and press "log in." No password or other information necessary. It's just a trial run, so let us know what you think! 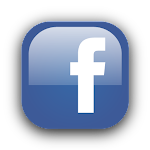 Leave a comment, email us, or chat us. How Did Everything Become So Old? More Farmers Market This Year! Vassar is celebrating its 150th anniversary. Check out our posts labeled "Sesquicentennial" for more info! 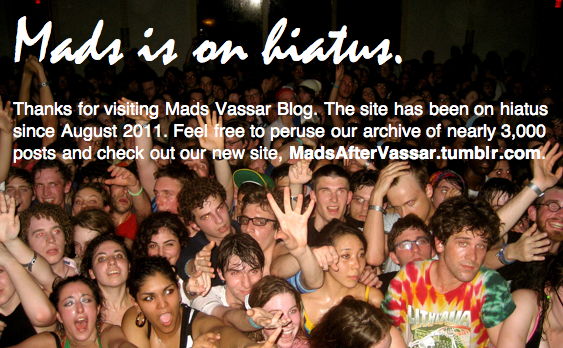 © 2010 madsvassarblog.com. Header image by Grhyzzly. Picture Window theme. Theme images by luoman. Powered by Blogger.